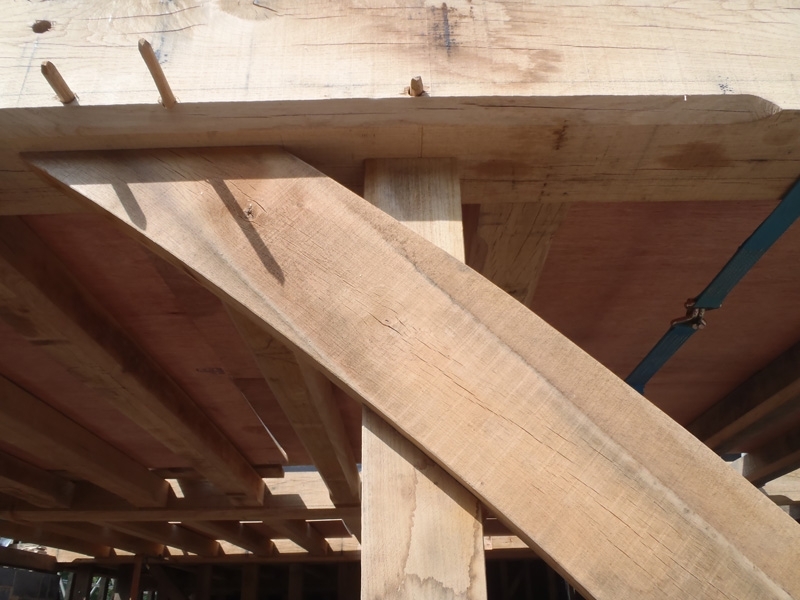 King post roof & some walls for kitchen and dining room extension. 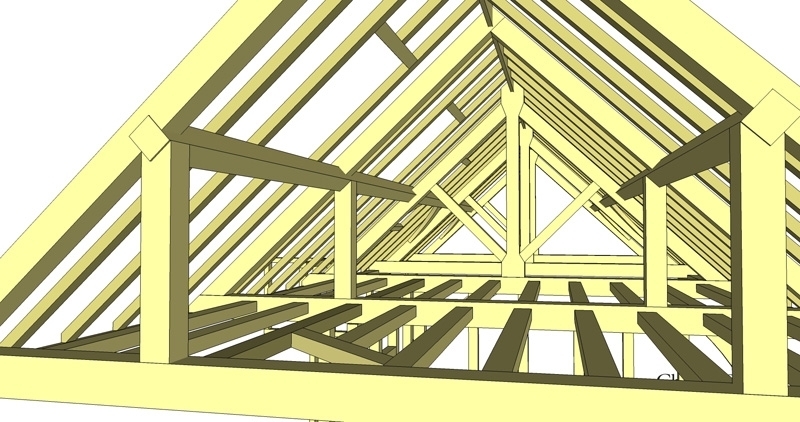 Below are extracts from the CAD model, showing the king post design roof migrating to a queen post style roof. 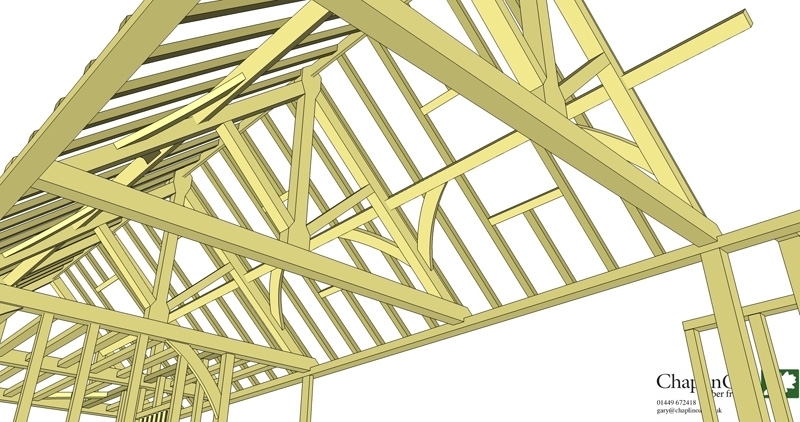 The main space below the king post trusses (single central column on top of tie beam) is a spacious kitchen area, the open trusses define a light lofty space. 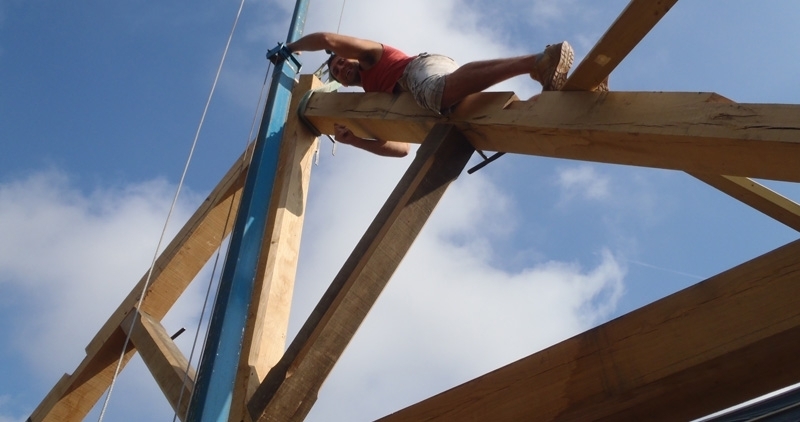 The next picture shows the king post truss as it was raised (modelled by Mario). 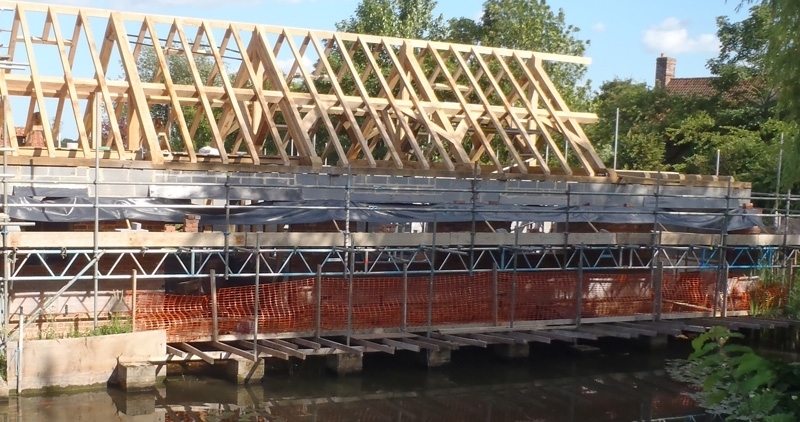 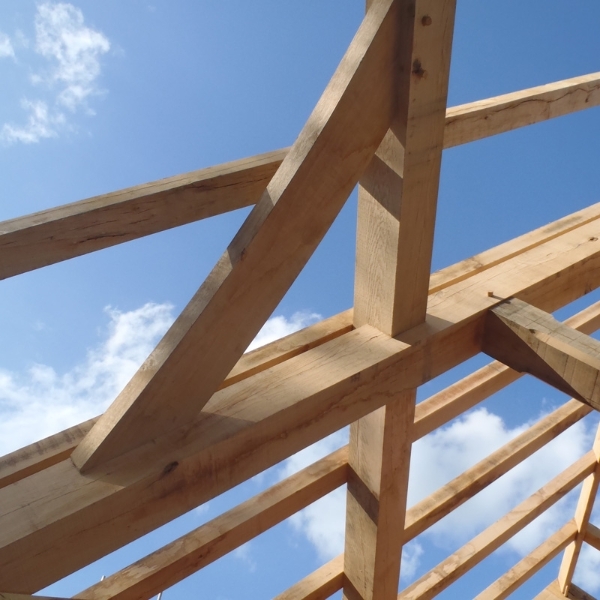 This design is very simple to assemble, as all the components lay upon another; purlins on principle rafters, common rafters on purlins. 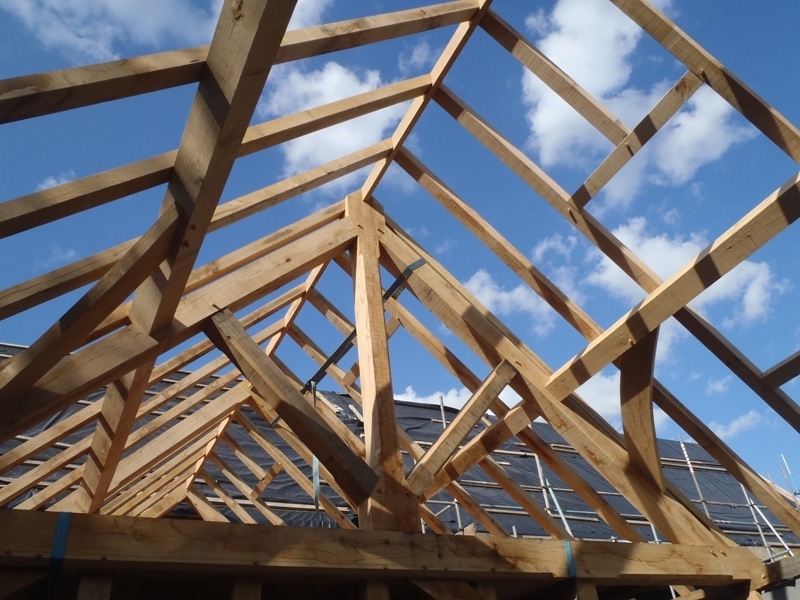 It is also incredibly strong and suitable for a lower pitch roof, this one is 42 degrees. 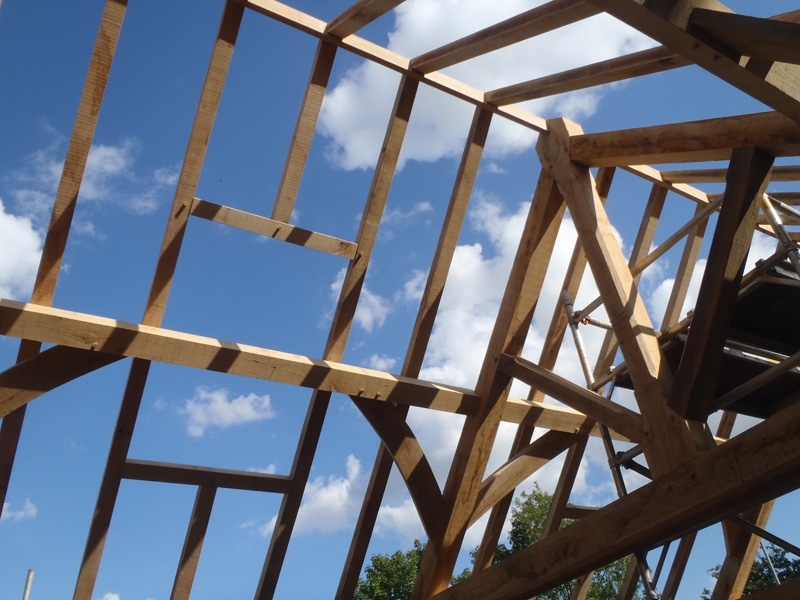 You will notice from these pictures some trimmed rafters, these are to take the roof light windows and are spaced precisely to take the plasterboard reveal detail for a specific window model.